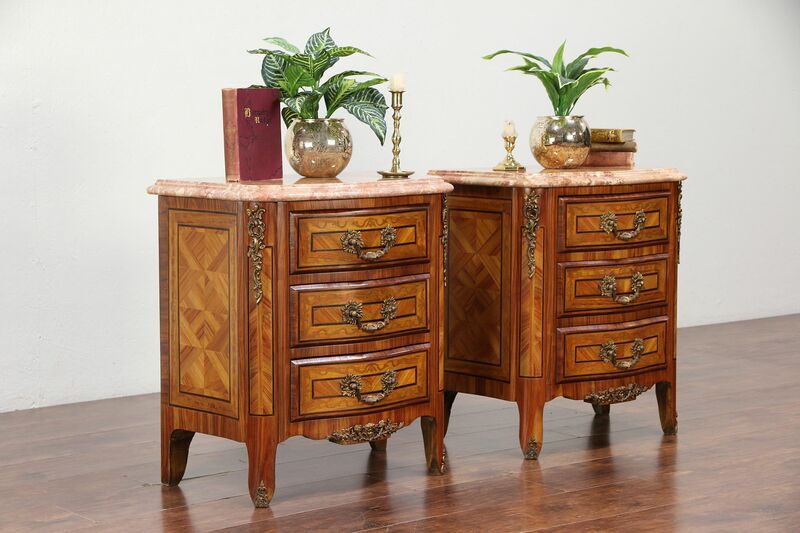 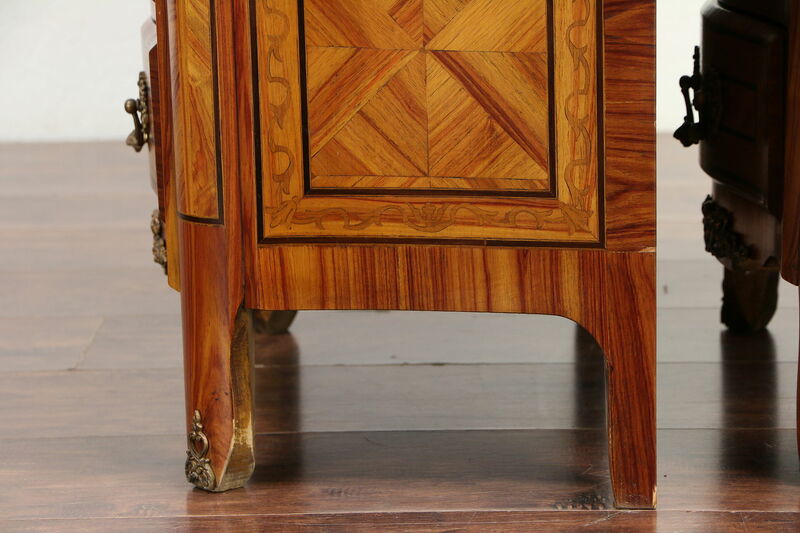 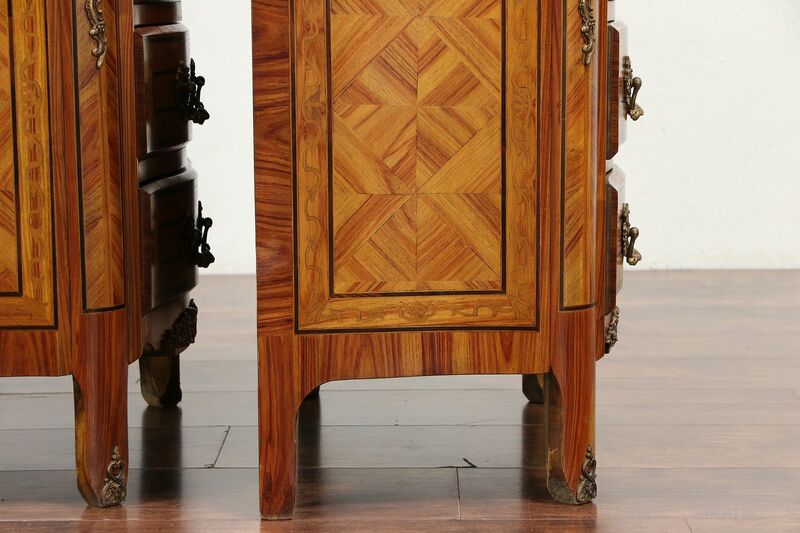 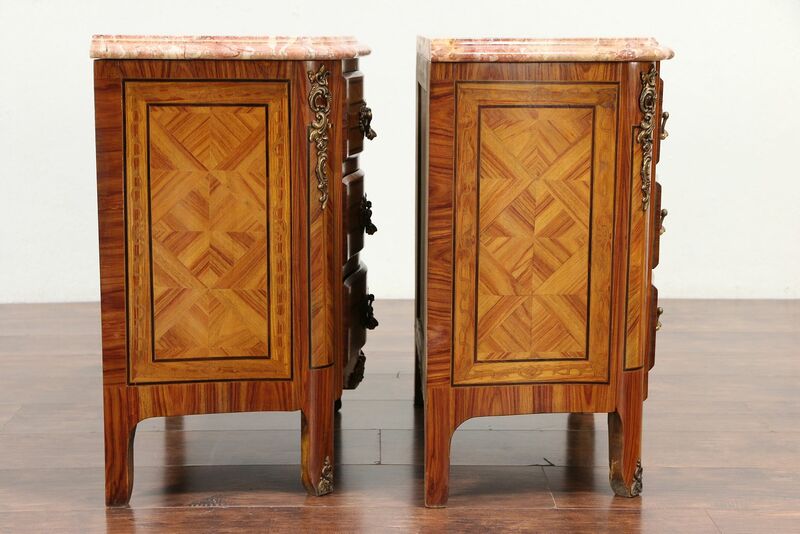 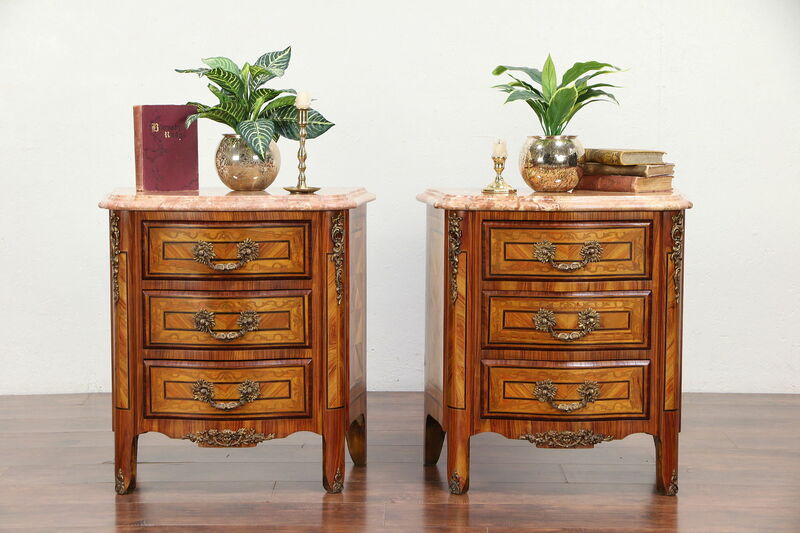 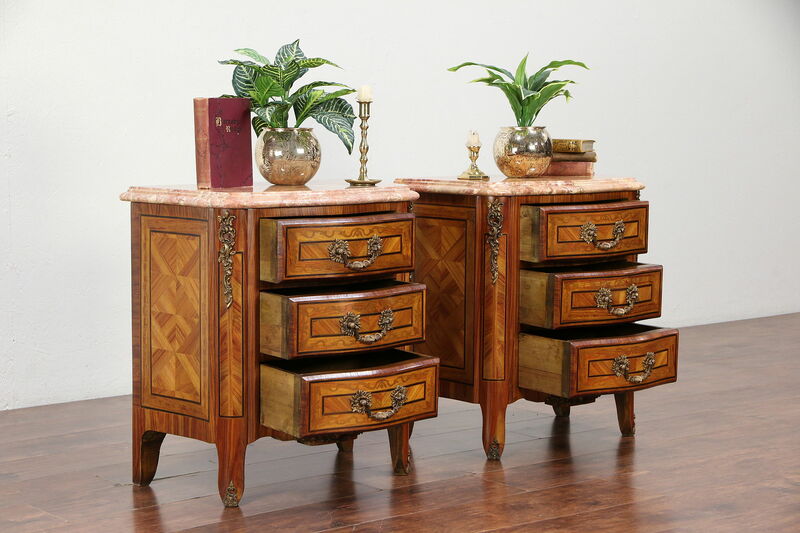 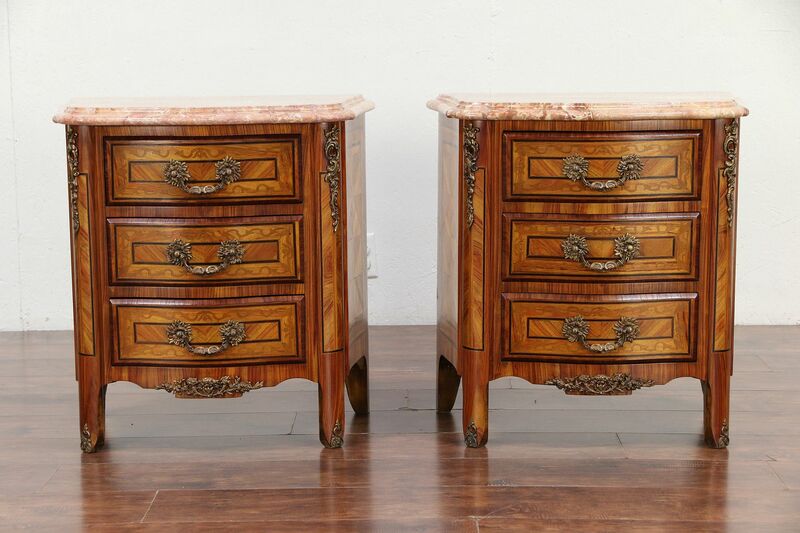 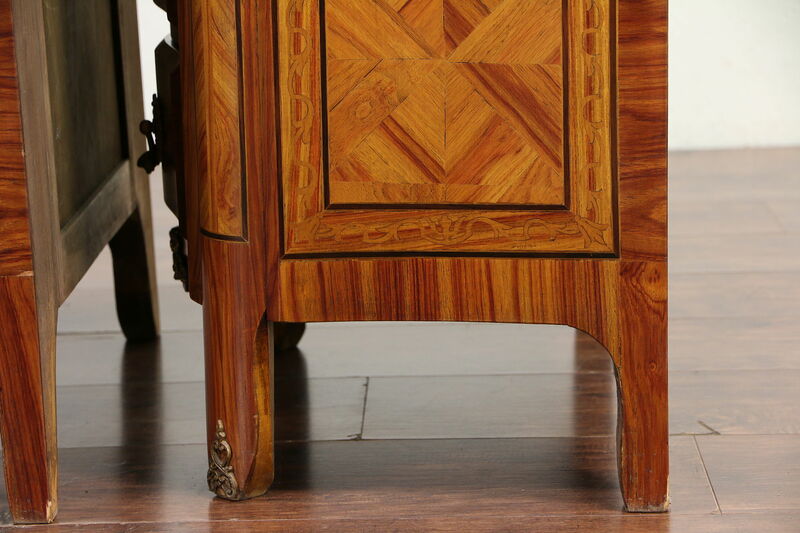 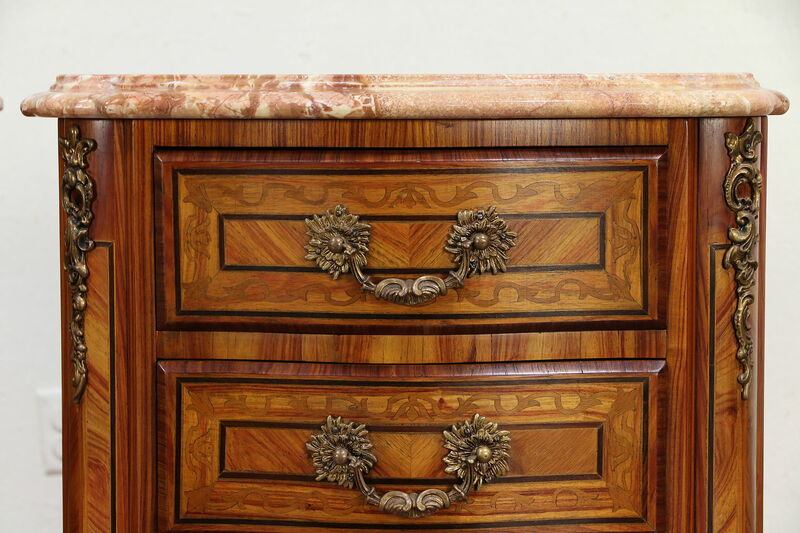 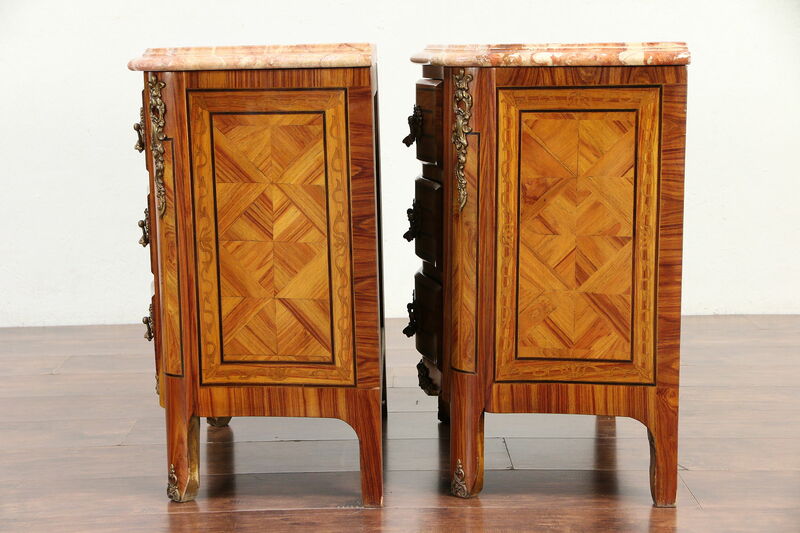 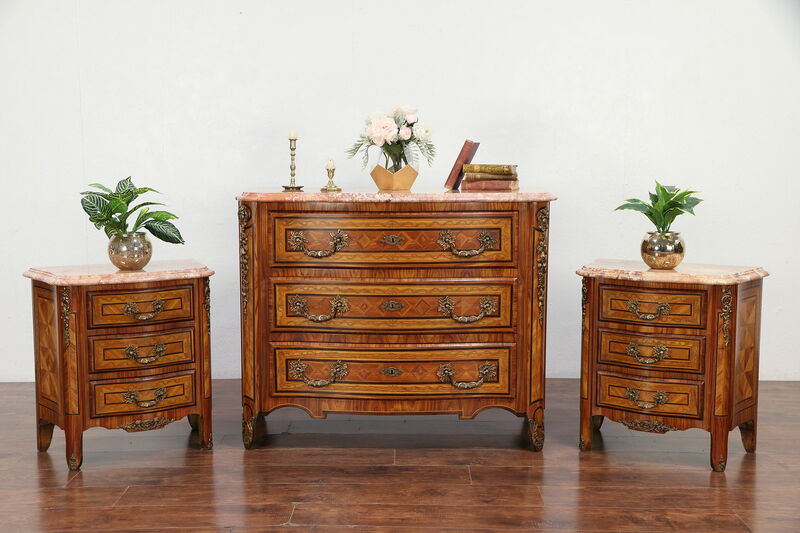 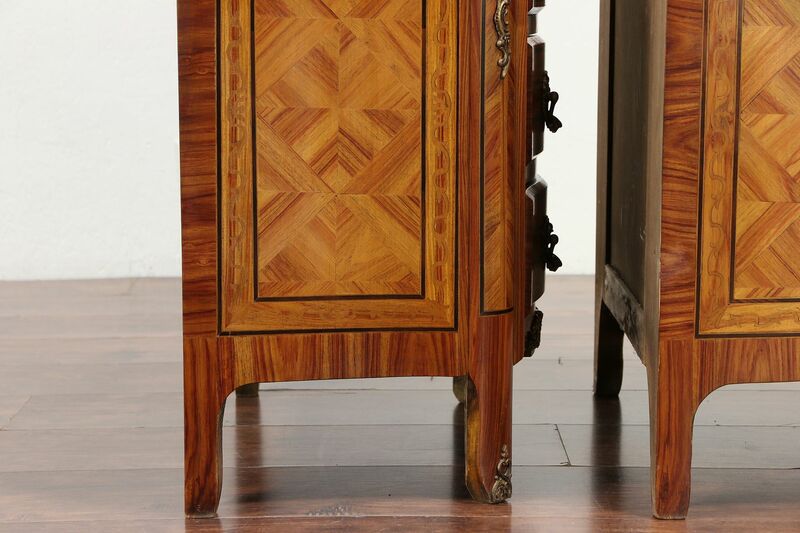 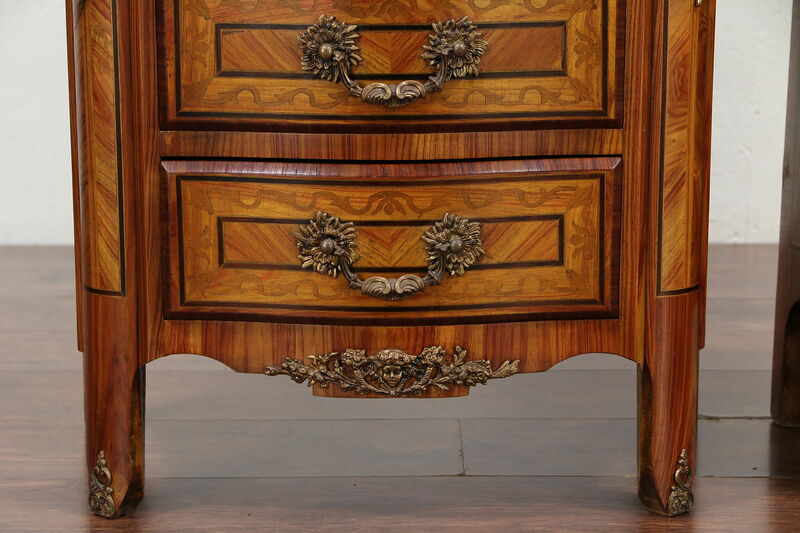 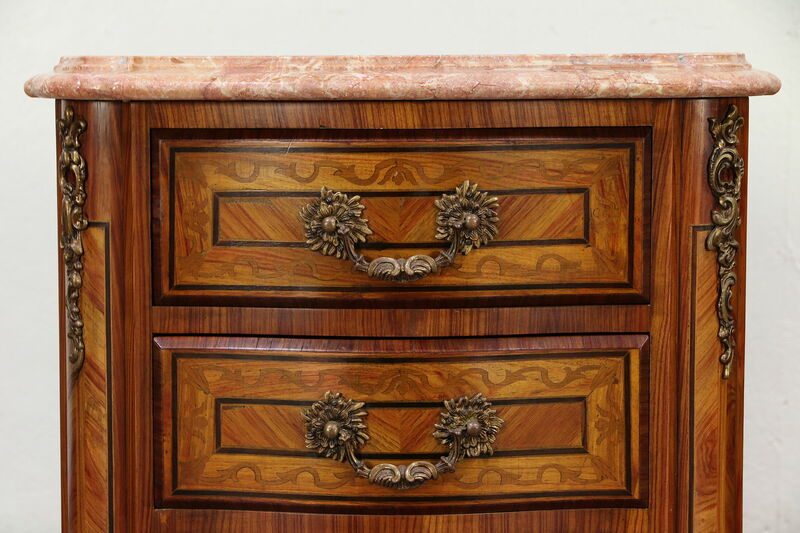 A splendid pair of marble top chests, end tables or nightstands was hand crafted with genuine rosewood and tulipwood inlaid marquetry. 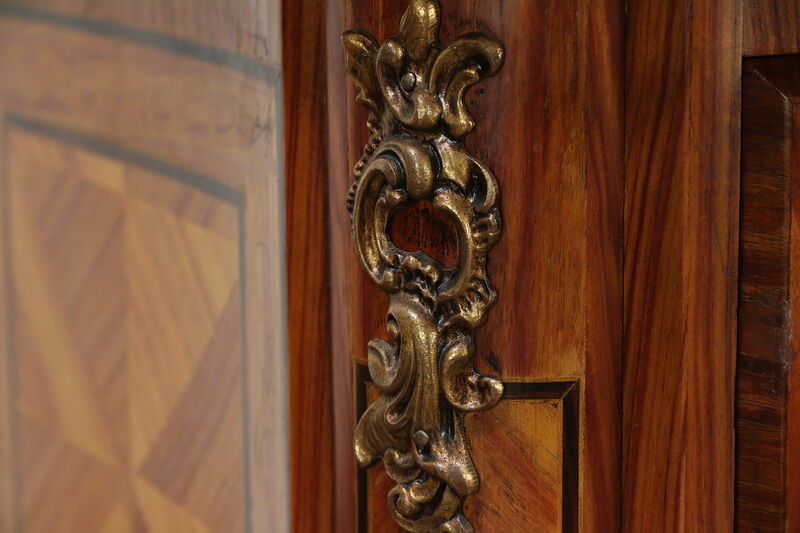 Made in Italy about 50 years ago, fronts and sides are gracefully curved, lavish bronze hardware is original. 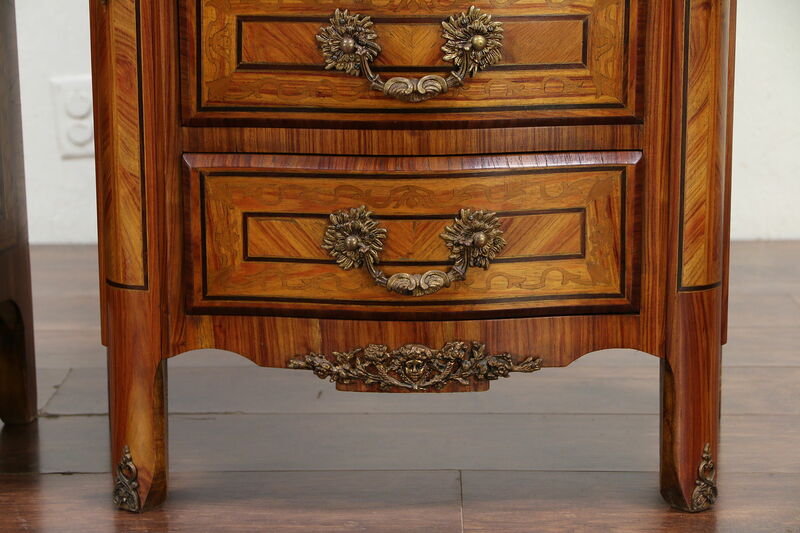 The original hand rubbed finish is extremely well preserved with minor touch-ups and shrinkage separations from age, see photos. 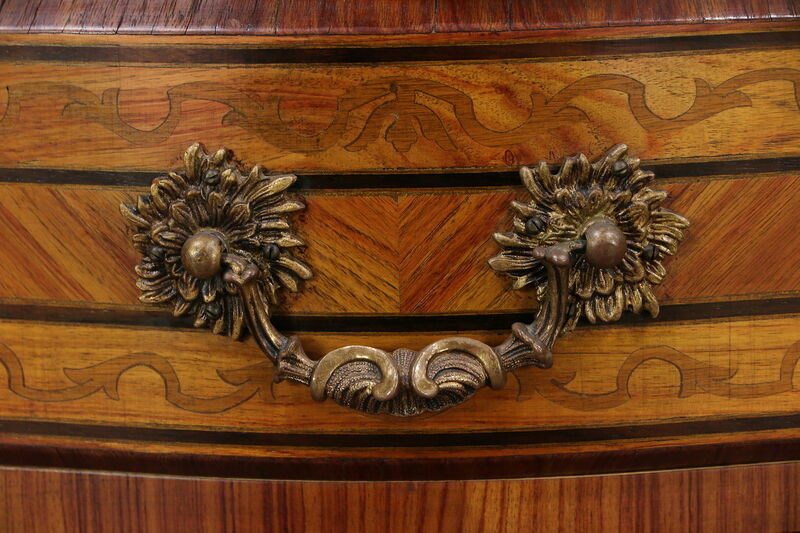 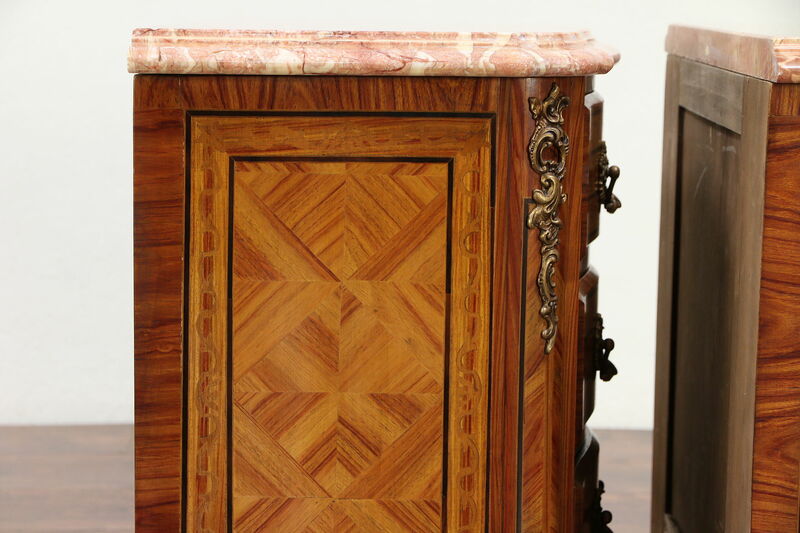 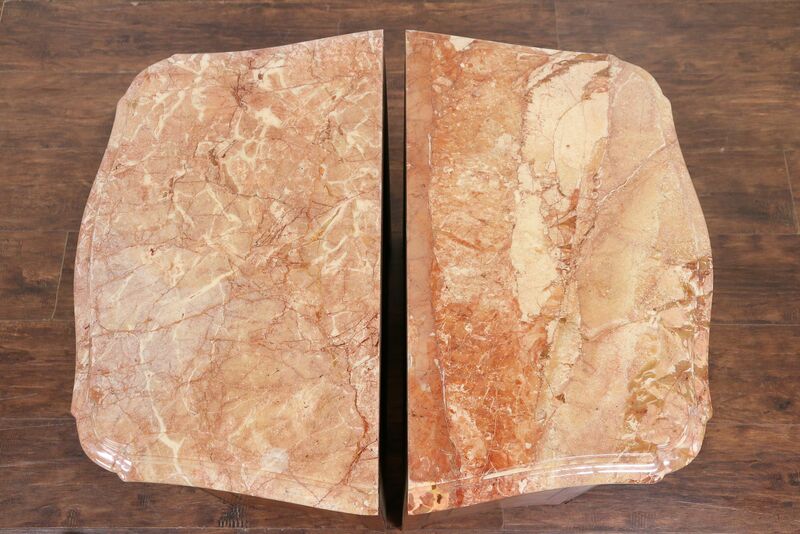 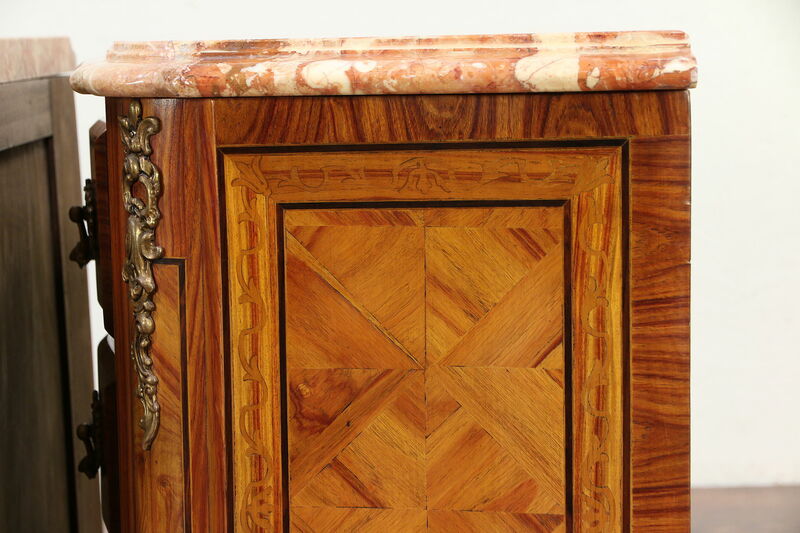 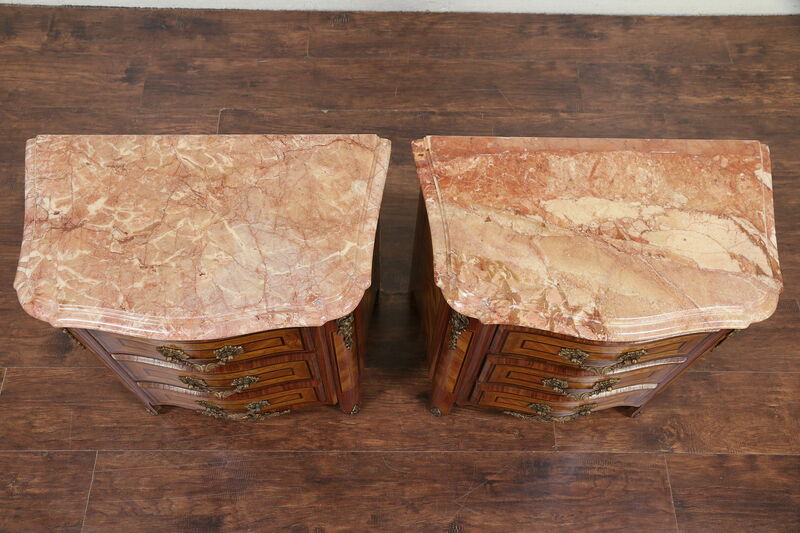 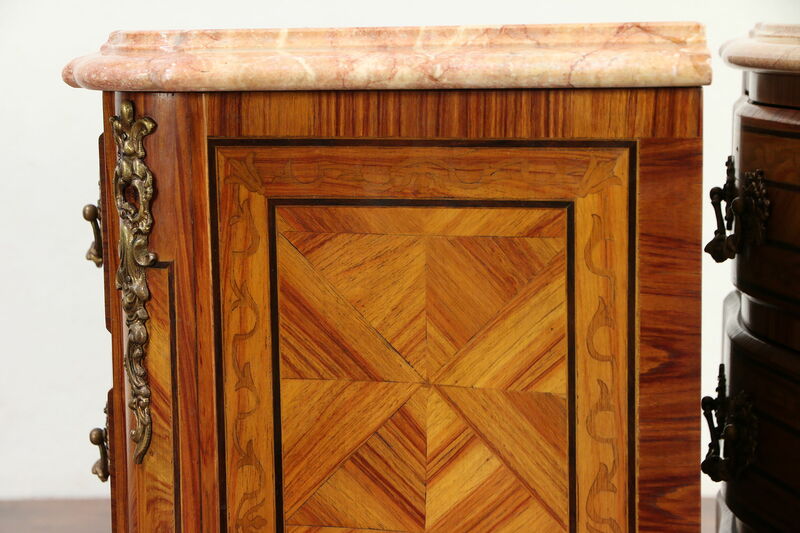 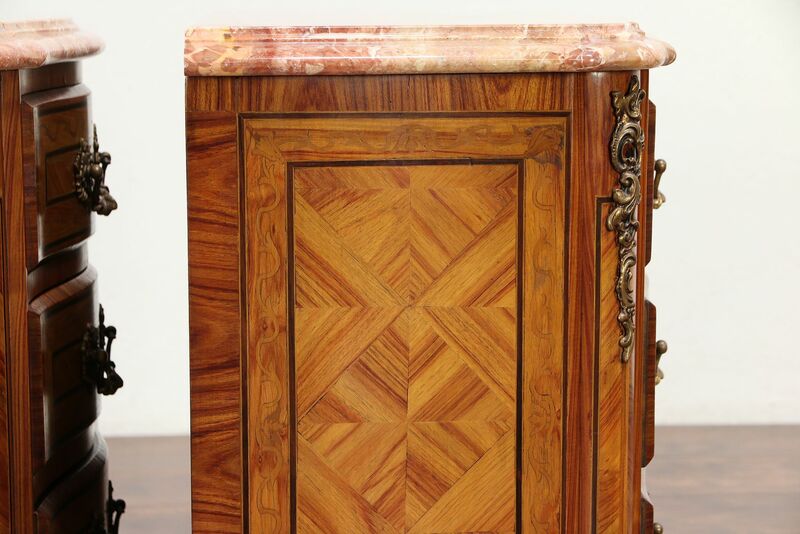 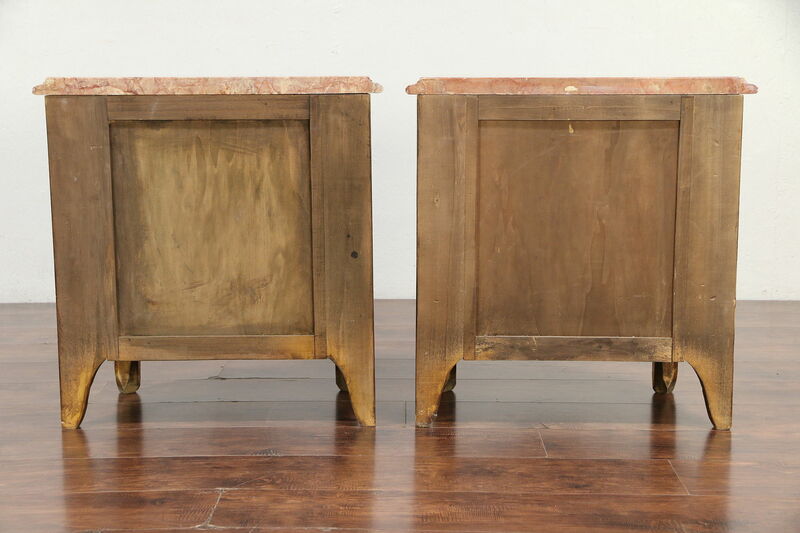 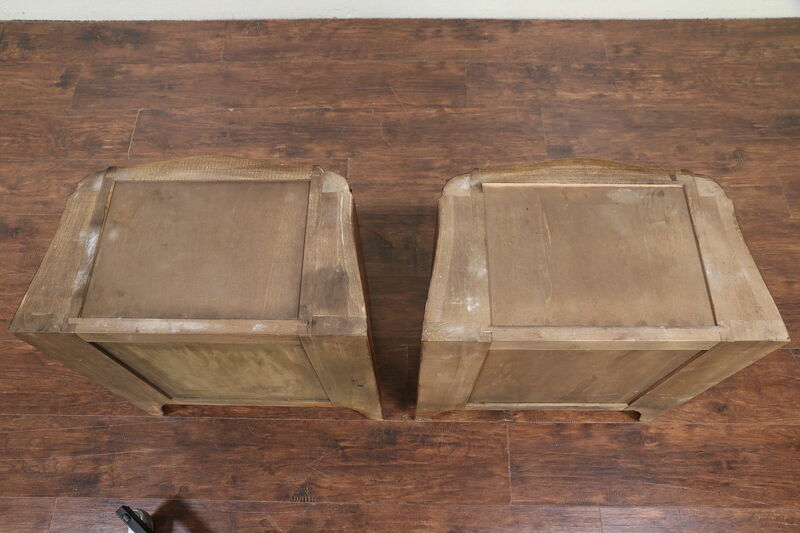 The shaped marble tops have a protective finish and are also in very fine condition on this opulent vintage furniture. 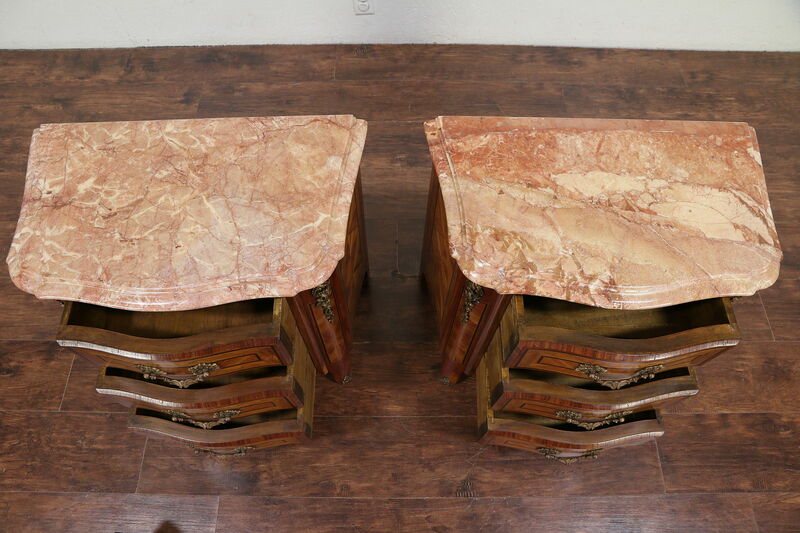 Measurements are 25" wide, 15" deep and 26" tall.